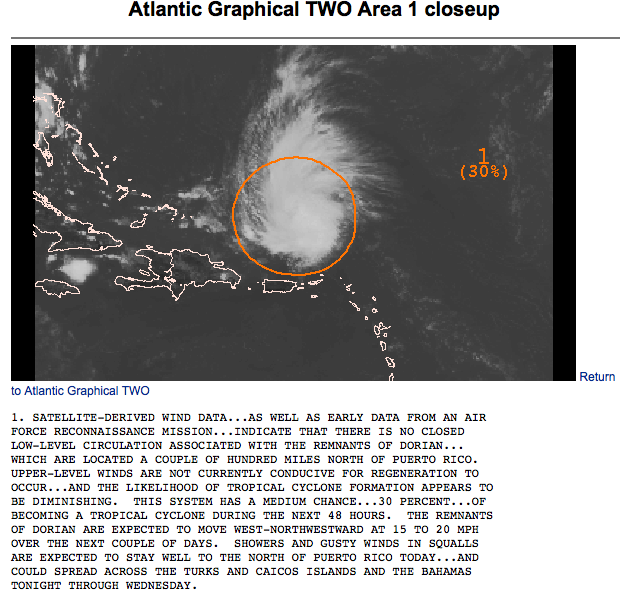 The NHC has lowered their development chances for Dorian down to 30%. Still in the medium category. Once again, the hurricane hunters were unable to find a closed circulation. Pressures are high and formation is not likely due to associated wind shear from an upper level trough located just west of the system. The environment is just too hostile. It could find a better environment near the Bahamas, but the chances of that are low at this point.